Norwalk, Conn. – The first of the classic European road races was the Targa Florio, which began in 1906 and continued until 1976. The first course was three laps of 92-around the Madonie Mountains. 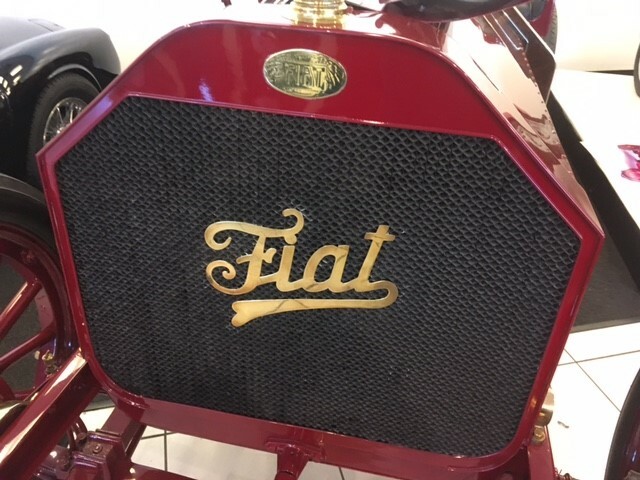 Fiat’s entry in 1907 was led by Vincenzo Lancia and Felice Nazzaro. At the end of the first lap Lancia was in the lead, but ultimately it was Nazzaro in the 60HP who won the second Targa Florio. That same year he also won the French Grand Prix and the German Kaiserpreis also in Fiat race cars. This is one of the five original 60 HP Fiat team cars from the Targa Florio. 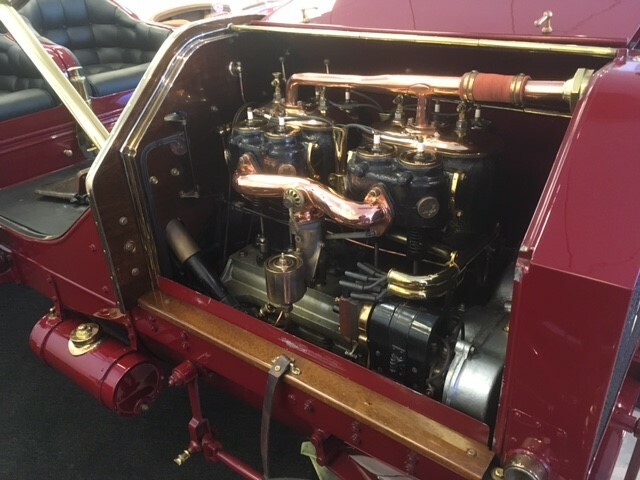 It was discovered with a touring body and has been restored to the specification raced by the great drivers of 1907 by Manny and George Dragone of Bridgeport. In 1907, there were 51 entrants in the 2nd Targa Florio race in Sicily, including pioneer automakers Darracq, Itala, De Dietrich, Benz, Berliet, Gobron-Brille, Daimler, Clement, Junior, Star-Rapid, Zust, Diatto-Clement, Radia, Ajax, Isotta-Frashini, Rolland-Plain, Opel and the five 7.4 liter/60HP Fiats. Felice Nazarro won the race with a Fiat, followed by Fiat teammate, Vincenzo Lancia, just 12 minutes later and after nearly 8 ½ hours of racing. Lancia also posted the fastest lap of the race, with a time of 2 hours, 43 minutes, 8 seconds. A third Fiat finished in 8th place driven by Aldo Weilschott. The other two Fiat team cars do not appear in the race results, but Fiat established itself as one of the leading automakers in the world. In 1907, at the age of 26, Felice Nazzaro was the greatest driver in the world. With his effortless and immaculate technique, he stayed at the top, retiring from premier level racing in 1924 after almost 25 years in the most dangerous game in the world. A cagey driver, Nazzaro would often hang back at the beginning of a race, waiting for the leaders to fail and then would pounce into the lead, sometimes making the fastest lap in the process. Nazzaro was very young when he started work in the workshop of the Ceriano brothers (Fiat founders) and he was soon competing for the new Fiat racing team. He won the Padua 200 km race in 1900 at the wheel of a red Fiat and the 1901 Giro d’Italia in a 6HP Fiat. The popular star of numerous Italian races early in the century; he even became an idol abroad, with a brilliant second place for Fiat in the Gordon Bennett Cup of 1905. Slight of build, gentlemanly of nature and immaculate in dress, his skill as a driver, mechanic and diplomat earned him the position of ‘works’ Fiat driver alongside Vincenzo Lancia in 1905. While the Fiat Company has records of the serial numbers of the cars that were sent to the Targa Florio, it is not known which cars finished and which didn’t. 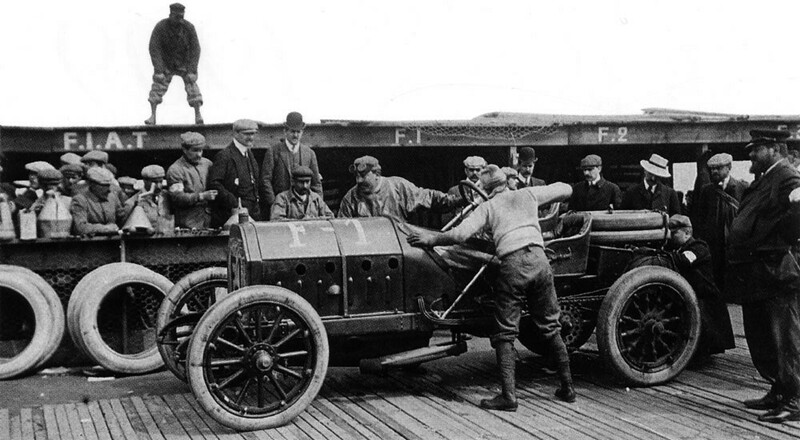 Records show that the Dragone’s car was shipped to Argentina after the 1908 racing season, where it was fitted with a touring body. It was parked on a ranch in the 1920s and remained there until discovered by Californian Ben Moser in 1976. Moser was successful in obtaining its Targa Florio documentation directly from Fiat, but it wasn’t until 1990 that he was finally able to make its purchase. Unfortunately, Moser passed away before the car arrived in the U.S. The Dragone’s purchased the Fiat from the Moser estate in 1991. 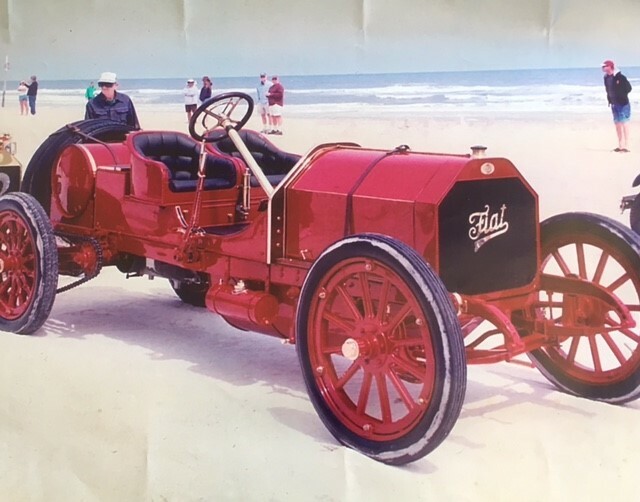 The Dragone’s 1907 Fiat Targa Florio race car will be featured at the Father’s Day Car Show on Sunday, June 18th at Mathews Park in Norwalk. Anyone interested in showing a car at the show may pre-register online at the New England Auto Museum website at only $15/per car or at the gate on the day of the show for $20/per car. All show cars will be welcome with no cut-off year. Spectator admission is free. Prizes will include awards for the Peoples’ Choice, the Mayor’s Choice, Favorite in Show and many more. Dash plaques will be available for the first 100 cars to register. ← Cannonball Outlaw Reunion set for June 2 in Greenwich, Conn.